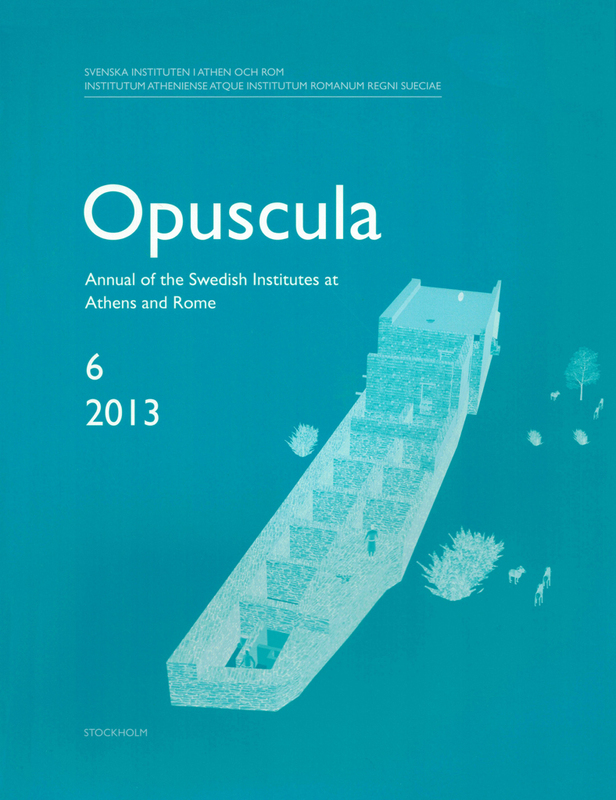 Opuscula 6 is now available for purchase and free download at Bokorder.se. Also available at Amazon.com, Amazon.de, Bokus.com and Adlibris.com. The third season of excavation at Hala Sultan Tekke added knowledge to the project, the main objective of which is the investigation and determination of the complete occupational sequence of the pre-12th century BC levels. New walled and open spaces from Strata 1 and 2 were exposed in Area 6. Another pictorial krater with birds was excavated. The terminology for the much discussed Cypriote-produced White Painted Wheel-made ware has been revised and a new terminology is suggested, i.e. “White Painted Wheel-made Geometric Style (WPGS)” and “White Painted Wheel-made Pictorial Style (WPPS)”, of which the latter includes the Creature Krater from 2010 and the Bird Krater from this season. The hypothesis that a tsunami destroyed parts of the city in the 14th or 13th century BC is discussed. An additional radar survey of some 1.3 hectares revealed substantial structures, i.e. new city quarters, west of Area 6. The Editorial Committee of the Swedish Institutes at Athens and Rome publishes three monograph series and the periodical Opuscula devoted mainly to classical archaeology, ancient history, art, architecture and philology. All publications are peer-reviewed. Deadline for submissions to Opuscula is November 1st each year. Contributions should be submitted to the ECSI secretary, following the Guides for contributors.